Posted March 20, 2018 by Jade Morellini & filed under Arts & Entertainment, Theatre & Performance. 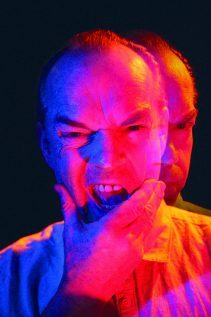 Bertolt Brecht’s 1941 classic The Resistible Rise of Arturo Ui is returning to the Sydney Theatre Company’s stage to present a modern twist on the rise of dangerous forces. Brecht’s aim in all his plays was to make the audience consider what they were watching and this play confronts audiences with the issues of politics. Butel will be embodying two characters – a theatre director who is silly and a corrupt business man. “The play itself is good, we have great actors and a great director, but the style of it is true to Brecht but also incredibly suspenseful and incredibly unique which will be good for our audiences.” Butel concluded.